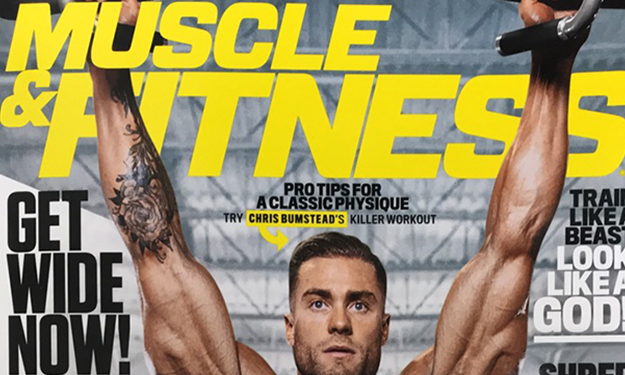 Ignition Coach, Chris Gray will serve as a seasonal columnist for Muscle & Fitness magazine. With experience at the professional, collegiate, and high school levels Coach Chris is able to share his expertise to provide educational and inspirational feedback to coaches across the U.S. To view the first of this ongoing series please see the provided article below. Trap-Bar Trifecta: The neutral wide grip handles of the trap bar are easier on the shoulders. This versatile tool also allows you to stand inside it with the weight aligned with your sides, which is generally a more optimal position. Try these three trap-bar variations. Trap-Bar Carry: Stand in the trap bar, grab the handles, and walk forward and backward for distance. Trap-Bar Front Carry: Hold the trap bar by its handles with arms bent at 90 degrees. This move is sure to blow up your shoulders, biceps, and traps. Trap-Bar Overhead Carry: Standing in front of the trap bar, grab the handles and curl and press the bar overhead. Brace your core and begin to walk forward for distance. Pick up two kettlebells and press them directly overhead, keeping a slight bend in your elbows. Work on keeping your rib cage tucked down and in, and aim to get your biceps as close to your ears as possible. Clean one kettlebell so it’s in the front-rack position. Brace your core then begin to walk forward. Single-Arm Bottoms-Up Carry: This variation increases strength and stability in your core and shoulders as you fight to balance the kettlebell. Hold the bell bottoms up by the handle. Keep arm bent at 90 degrees. Goblet Carry: The goblet carry is another variation that will challenge your core immensely since all the weight is front loaded. In addition to fixing that desk-jockey posture, your biceps, shoulders, lats, and forearms will be burning. Dual Carry: This spin on the farmer’s walk has you holding one weight overhead while carrying the other at your side. As with most of the carries here, this is a test of shoulder strength. But the offset weight will also challenge your core as you fight to stay completely upright. Hold one kettlebell at your side and a slightly lighter one overhead, keeping a slight bend in your elbow. Be sure to switch sides each set to avoid imbalances.